Yahoo! Excellent news. If you drop on Tuesday, then I will probably get my loverly patterns by Wednesday. Allready have my dress fabrics, Navy cotton lycra and a very loverly dance fabric for Red velvet dresses. Finding good quality lycra in Brissie is a different matter. Will have to go hunting. Surprisingly, I have sourced quite a few very decent leggings fabrics from the dance wear section of Spotlight. Are you going to the Fair, Ann? I will have to look harder at spotlight. No, I am not going to the fair, too many appointments and not enough money. I have your same philosophy about fabric , I need ti to go in the washing machine and in the dryer, I don’t have time to hand wash nor I want to spend money to have it dry cleaned! Haven’t commented here for a while – been super busy – but I might manage to sneak into the city for the fair – you never know…. Done! Well hopefully I did it right lol. I needed to add the sewingcake blog and not just this one to my reader so I can get all the updates. 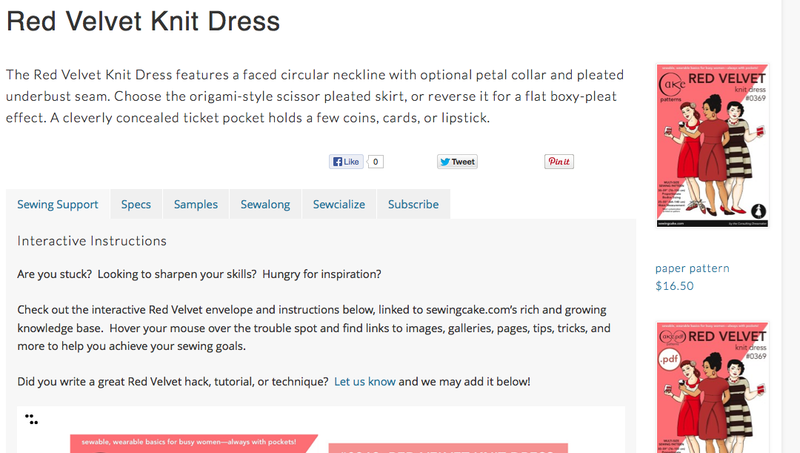 You are doing a stellar job over at sewingcake.com, your hard work shows. Thanks for the info on prewashing, makes total sense but sometimes I just need to hear these things from an expert. I was always the one too scared to put fabric in the dryer in case I ruined it, but as you say I generally wouldn’t buy RTW garments that I can’t tumble since I don’t have time to iron. If I have to iron something I generally don’t wear it much! Bless you and your work! I agree with your practical philosophy, tho I have discovered that clothes last longer if I air dry them rather than tumble in the dryer. I’m looking forward to lots of sewing this fall. Ah yes, I do both. Husband gives me a seeeerious side-eye if I use the dryer too often. :) I have to say though that I hear that about air drying all the time but have found the clothes I consistently hang out to dry degrade quicker. Perhaps I’m doing it wrong, but the UV exposure seems to speed up the pilling process too. :) When in doubt, I just hang things in the shade under my house, that seems to be the best of both worlds. In the hot Qld sun you are best to dry in the shade especially in mid summer… we have a little canopy thing over the clothes line, Also in mid summer when it is still hot at night, I hang out in the late afternoon / evening and clothes are dye at first light or shortly thereafter. PS Meant to ask: What is RIFF? YEa!!!!! I’ve been dying to get my hands on these!! This random cold snap has me dreaming of leggings!!! Last night I got all excited about some fabric in my stash that I think would make a nice Red Velvet… So EXCITED! I’m trying to upscale my wardrobe a bit from my usual jeans and t-shirts. To further this, I’ve taken the plunge and purchased the Red Velvet and Espresso patterns. A nice knit dress and leggings should be just as comfy and much prettier, right? Yes! That’s so cool, thanks Kathy! When I’m wear-testing a muslin that I’m working up for a design, my goal is to make it as comfortable as being naked, but more so because you’re not exposed. :) I think it was Chanel who said that luxury can’t be luxury without comfort, which means that to her comfort was the ultimate luxurious thing to do with one’s clothes… That’s so interesting, coming from someone who founded an iconic designer brand… But back in the day, Chanel was all about comfort and practicality.. And here I go wittering on about Chanel! While I miss your regular posts, I would rather read a great post from you once a month than little dribs and drabs. I recently changed my blog format and it took forever and it’s still not done right, but I know that laying the correct foundation is important and that is what you are doing. Right now you are creating everything from scratch, once you have the systems in place it will all go much faster and easier. Yes! I have been building templates templates templates lately for the site, and now it’s to the point where I just have to tweak the templates and fill them in and publish. It’s good to be at that point, definitely. :) Thank you for your encouragement, I appreciate it. Really, that’s interesting about the wools. :) I wouldn’t ever give advice I don’t take repeatedly myself, so I’m glad it worked out as well for you as it does for me. Yes! Clothes for living real life, yes. I’m so glad you like your Espressos, thanks for trying them out. I am so excited about joining the Red Velvet sew-along! I liked the Espresso Leggings so much that I bought the dress pattern, too! Thanks so much for the Espresso pattern (a snap!) and I can’t wait for the dress pattern to ship! Thanks, Jana, the most important thing to get us sewing and sharing… That’s what I think anyway so I’m pleased to hear you’re inspired. Don’t be shy in the sewalong, the more the merrier. :) The dresses are going out on Tuesday, worldwide. The RV dress looks like the perfect style for me and I can’t wait to m,ake one. Got the fabric already! I like the look of iot it even more than Tiramisu, so I’m hoping it will become my TNT ‘go to’ pattern for dresses and tunics. Hey, congrats on demo’ing at the quilt fair. The Red Velvet sewalong looks like fun. I just noted that you are on Facebook, so left a message for you there. Thanks! It’s a lot of fun, I feel like a duck in water. It’s good to get out of the house and interact with customers irl a bit. :) Ok, thanks! Whoop! Mine arrived today in a red envelope! I won’t be able to join the sewalong this time, since I’m in camp from Nov 7-21, and I don’t really want to rush. I’ve slowed my sewing down a lot, making sure garments fit the way I want and just plain enjoying the projects. I do miss the quick and dirty sewing I used to do, where I’d pop out a top in a day or a jacket in 3, but I’m enjoying this slowed process down more as well. Aw! We’ll miss you! :) I get that about slowing down. Great! I’m sure you’ll love Espresso and the shrugs… For sure. I haven’t had a sliver of time to do much about it, but I want you to know that the Debbie Cook “errata” doesn’t exist on the Red Velvet pattern. I looked. I checked. If it was real, I would have made a post. But it’s imaginary. The place where I’m accused of being off by 1/2″ is more like 4mm, if that. The place where I’m accused of having midriffs that don’t match at the side seams is *only* on the largest few measurements, and is off by maybe the width of a line, if that. Ms. Cook is mistaken, and while I don’t have time at the moment to post all the photos showing this, I want you to know that your RV is not riddled with inaccuracies.